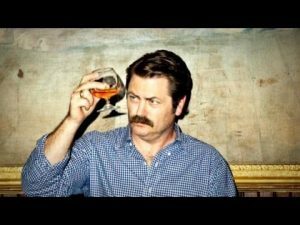 So, I am almost done listening to Nick Offerman’s book Gumption and I have decided that When I Grow Up I Want to Be Nick Offerman. Forget the obvious benefit that he is married to the funny, talented and gorgeous Megan Mullally, was one of the linchpin characters in the hit show Parks and Rec and that he is a fabulous stand-up comedian and author. Forget all of that. He is brilliant. He is thought provoking. And he has a grasp of culture, history, art and our world that few possess. It is to this last – his grasp of our world – that I want to draw particular attention. Gumption, the book of his that I am reading now, outlines the lives and character of various people throughout history that he sees as having those traits that make them important to the fabric of our nation and the world. Gumption came out in May of 2015 but it needs to be on the reading list of every single American, in particular, those between the age of 18 and 35. Those folks young enough to be molded or at least bright enough to realize they need to be shaped. Literally, he names a figure from history, entertainment, etc to represent various character traits and he divides them into chapters such as Makers, Freemasons & Idealists. These individuals range from George Washinton to Wilie Nelson but they all have something in common. They were/are revolutionaries… visionaries… thinkers… doers. His choices and the traits that he chooses for each of them shows a real love of the topic and a lot of thought aimed at his subject matter. I don’t believe that I have ever read a book twice in a row but I believe that I am about to break that rule. I downloaded it using OverDrive so I will be listening to it as well – read in the dulcet tones that only Nick Offerman can offer. 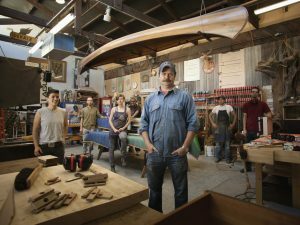 Offerman is a modern day renaissance man. Stand up comedian, trained actor, author, woodworker. Yup, woodworker. His personal website: www.offermanwoodshop.com, is an actual shop that creates works of art out of wood. 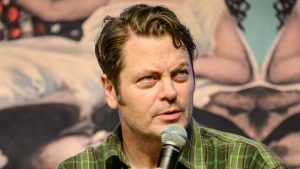 It is not a joke, it is Nick Offerman’s business. It offers info on his other projects as well but it is the eCommerce end of an honest to god woodshop, you can buy things made of wood, that he and the artists he employees have made. WHAT!?! The first time you visit the site, you might have the same reaction that I did: “Am I at the right place?” I love the fact that he is more than just a comic or an actor or an author. The fact that he can “do” things and make things, makes him even more interesting than if he was just writing about those topics. If you get to choose one celebrity to get stranded on an island with – you pick Nick Offerman. At the end of the day, this book is life changing. This book makes you re-evaluate what you do, why you do and how you do. I think I might have to buy a couple of copies of this book for those young people in my life that are about to move from being children to being adults. Gumption goes on my annual read list (this is a very short list of books I read or listen to each year). And, of course, as I stated before, when I grow up I want to be Nick Offerman. 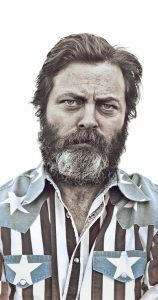 Nick Offerman for Mayor of Detroit and then President – just saying.